I have worn the necklace several times now, and people have stared at it and tried to read what it said. It brings me confort when I am wearing it. I was completely satisfied on all counts. 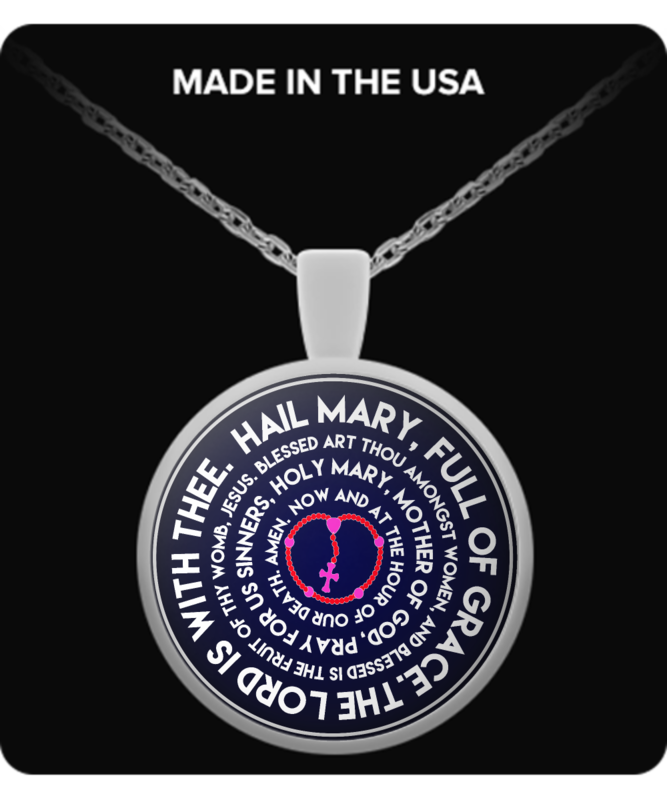 Love my Hail Mary, Full of Grace... necklace! Better quality than I had expected. Communication from company was excellent. Will not hesitate to purchase from GearBubble again! !